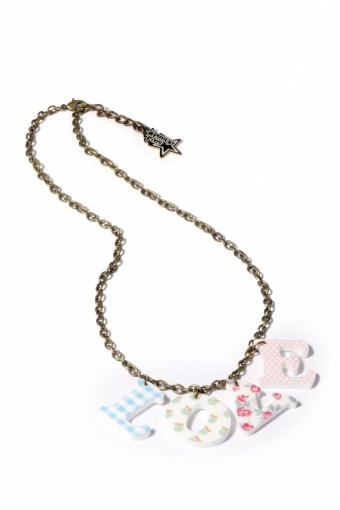 So cute this handmade Textile print LOVE necklace by PUNKY PINS. 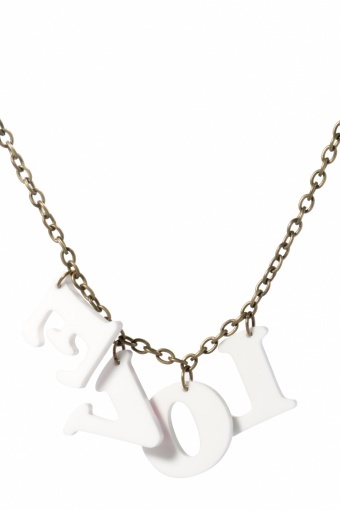 Laser cut printed Acrylic letters in textile patterns on bronze metal chain necklace (nickel tested). 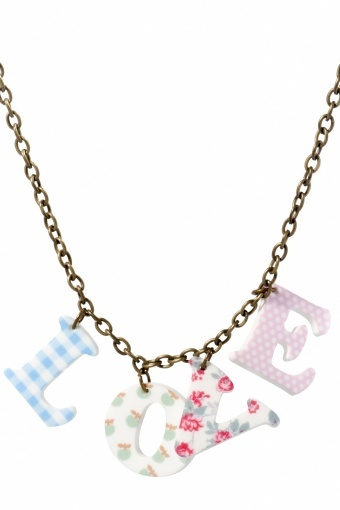 L: lightblue-white checked, O: white with green appels, V: white with flowers and E: soft pink with white dots.